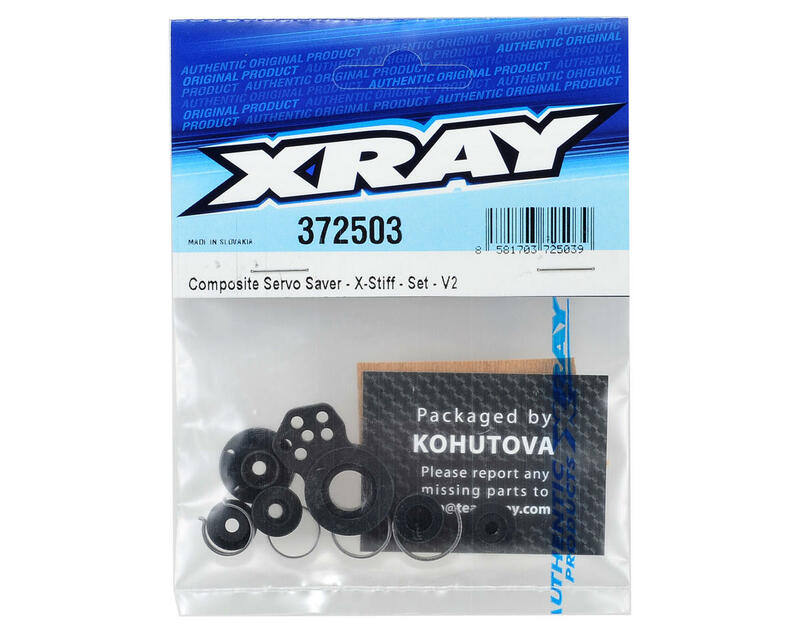 This is a replacement XRAY X-Stiff Composite Servo Saver Set, and is intended for use with the XRAY T3'11, T3’12, XII, X12 and X10 Link vehicles. 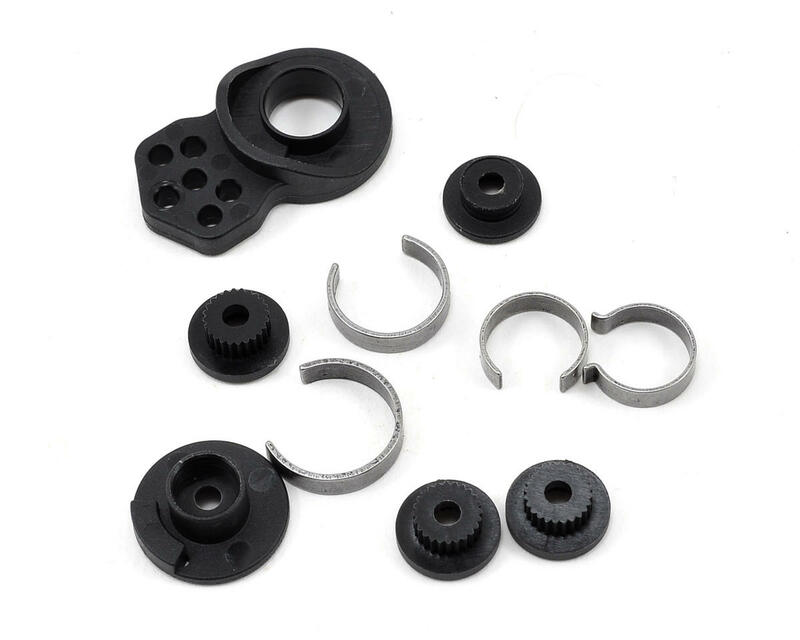 This molded composite servo saver set consists of 4 springs to make the servo saver strong enough to prevent extreme steering deflection from impacts, while at the same time being flexible enough to prevent servo damage in hard crashes. Includes interchangeable bushings to fit most popular servos.